The transcription factor p53 can be phosphorylated at Ser15 by a number of kinases including ATM, ATR, and DNAPK. This phosphorylation event results in the accumulation of p53 protein by preventing the binding of the negative regulatory protein MDM2 and eliminating its targeted degradation. Activated p53 induces the transcription of many genes, including those affecting cell cycle progression. 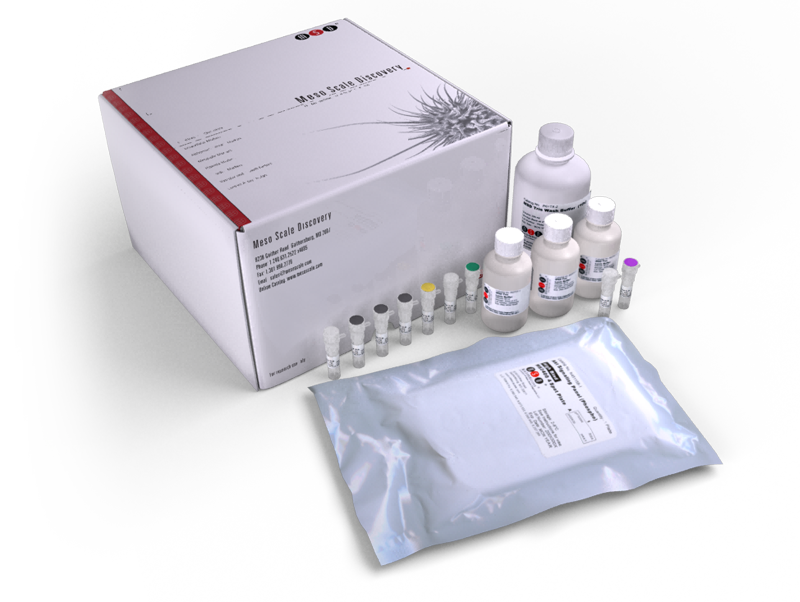 This kit provides assay-specific components for the quantitative determination of phospho-p53 (Ser15) in human whole cell lysates. Identification of inhibitors for MDM2 ubiquitin ligase activity from natural product extracts by a novel high-throughput electrochemiluminescent screen.